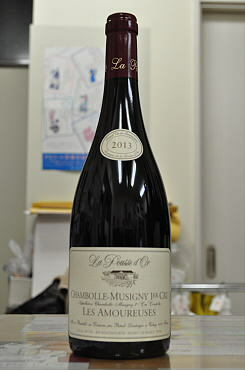 The 2009 Chambolle-Musigny Les Feusselottes represents the height of elegance. Here we find the femininity of Chambolle, but with an extra dimension of power and muscle to match. Crushed flowers and sweet spices add the final nuances on the subtle finish. Anticipated maturity: 2019-2034. The 2013 Chambolle-Musigny les Amoureuses 1er Cru has a very intense bouquet with layers of dark cherry, creme de cassis, a touch of juniper and blackcurrant pastilles. The palate is medium-bodied with succulent ripe tannins, a generous dash of white pepper and a very long, intense finish that maintains superb delineation. 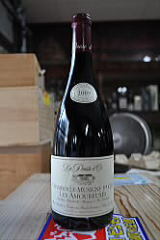 This is a long-term Amoureuses although there are only four barrels this year. 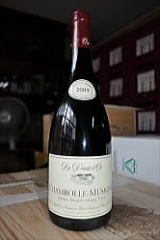 The 2009 Chambolle-Musigny Les Amoureuses comes across as huge and super concentrated. There is plenty of textural richness and depth, but the wine is going to need a lot of time to shed its baby fat. The impeccable, textured finish makes me hopeful elegance will develop here, but today the Amoureuses is a bit clunky. The estate gave the Amoureuses 50% new oak. Anticipated maturity: 2019-2034. The 2009 Clos de la Roche saturates the palate with tons of fruit. Despite its richness, the Clos de la Roche remains brilliant through and through, with dazzling elegance and an intense, powerful finish. Anticipated maturity: 2014-2044. 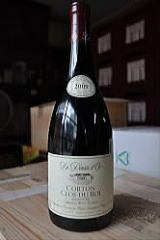 The 2009 Corton Clos du Roi reveals superb aromatic complexity and delineation, with expressive floral scents that are woven into the fruit. This is intense and powerful, but also marvelously elegant. It is a wine for those who can afford to be patient. The higher altitude of this site helped preserve a measure of freshness, which was quite welcome in 2009. Anticipated maturity: 2029-2049. 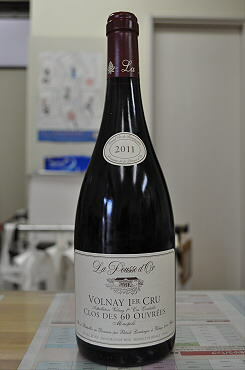 The 2009 Volnay Clos de la Bousse d'Or presents a wild, almost unrestrained expression of Volnay. It is a sumptuous wine graced with stunning beauty in its opulent fruit. This shows marvelous detail and clarity with palate staining intensity. Despite its richness, there is plenty of vibrancy and freshness. Anticipated maturity: 2014-2049. 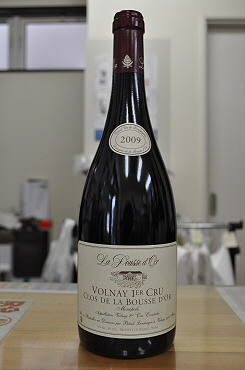 The 2008 Volnay Clos de la Bousse d'Or is impeccable from start to finish. Elegant, refined aromatics weave into layers of fruit as this substantial Volnay shows off its class and purity. The finish is supple and delicate, with plenty of reserve. Anticipated maturity: 2023-2038. 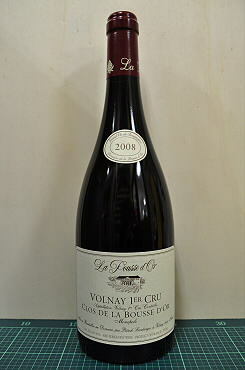 The 2002 Volnay Clos de la Bousse d’Or displays a nose of meaty, waxy black cherries. Almost syrupy on the palate, this medium to full-bodied wine assaults the taster with intense waves of velvety black cherries. This wine displays great concentration, balance, and an admirably long, seamless finish. Anticipated maturity: 2007-2018. Tasted blind at the Burgundy 2011 horizontal tasting in Beaune. 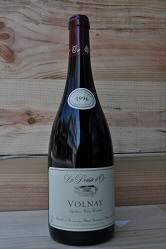 The Volnay 1er Cru Clos des 60 Ouvrees 2011 has a very attractive, ebullient floral bouquet with dried rose petals and lavender infusing the crushed strawberry and raspberry scents. The palate is medium-bodied with a keen thread of acidity; taut and linear and yet with great intensity on the sophisticated, intellectual finish. The terroir shows really well here ? a Volnay with plenty of panache and pedigree. You can approach this now, but it will improve. This is one of the best Volnays out there. 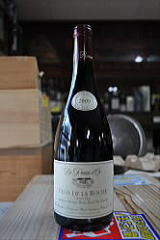 Beguiling aromas of animal fur, blackberries, dark cherries, and violets can be found in the nose of the 2002 Volnay En Caillerets Clos des 60 Ouvrees. Viscous, deep, and chewy, this muscular wine boasts immense concentration and length. Its thickly textured personality reveals blackberry jam, candied dark cherries, and a myriad spices. Its prolonged finish exhibits exquisitely ripe tannin. Though I’ve been in love with the 1990 for years, this 60 Ouvrees may well surpass it! Anticipated maturity: 2008-2019. 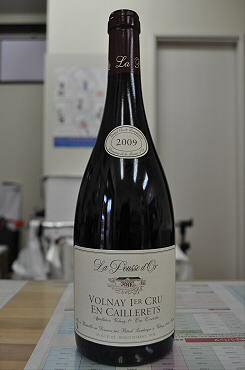 The 2009 Volnay En Caillerets bursts from the glass with a huge, explosive bouquet. 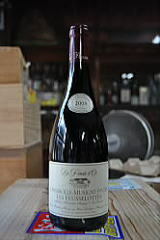 Blackberries, blueberries, hard candy and spices are just a few of the notes that emerge from this layered, intense Burgundy. There is plenty of inner tension here, in fact the Caillerets appears to be holding back a lot of its potential. It is a dazzling wine though, and one built for the long haul. Anticipated maturity: 2014-2049.